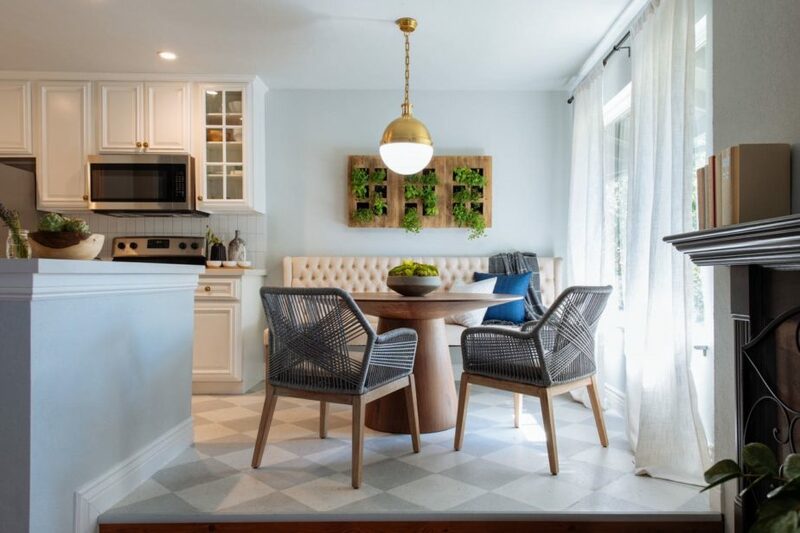 In a recent article sharing the 10 Home Design Trends to Watch Out for in 2019 in The Washington Post, one design idea that caught my eye as far more signature and lasting than trendy was the stand-alone bench for dining seating. 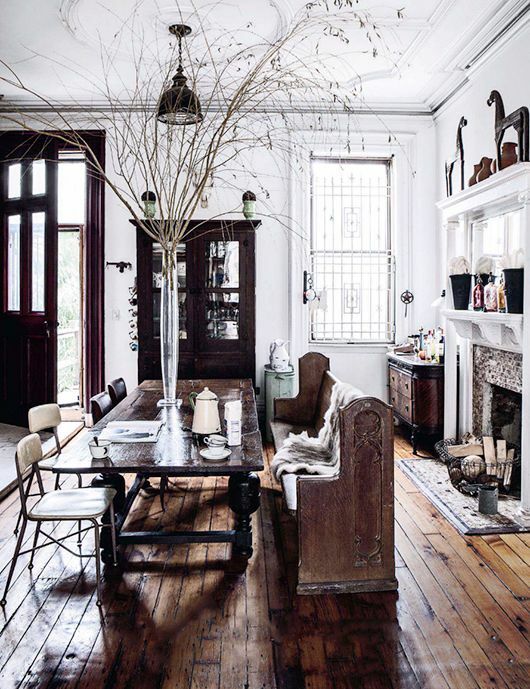 Never one to seize a trend without assessing if it will last, the beauty of choosing a stand-alone bench is that it isn’t permanent if your taste changes, your table changes, or if you move, it can come with you. 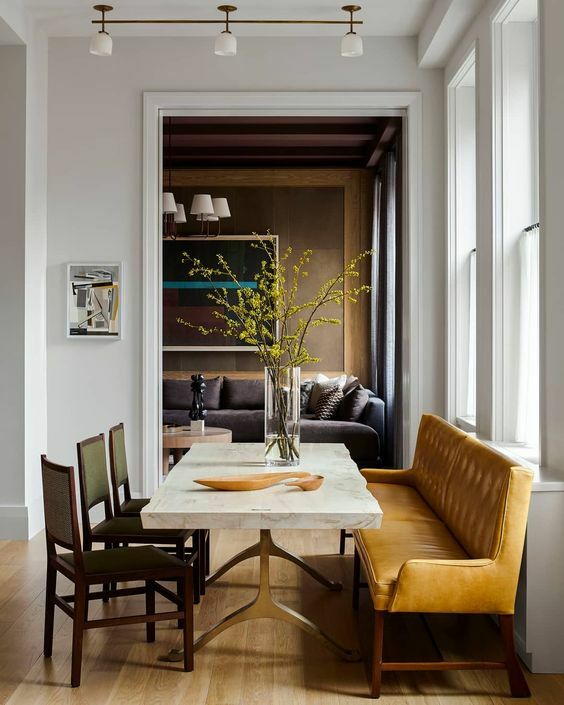 The idea captured my attention recently when I saw Genevieve Gorder’s NYC apartment renovation, and her dining room was eclectically decorated including a bench with fuchsia seating. Each of our homes will ask for something different. 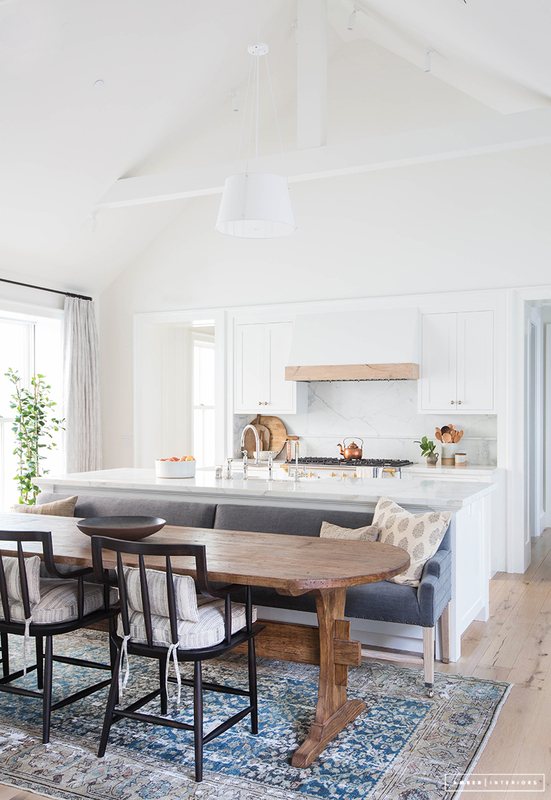 Currently, I love my tufted matching chairs, but the idea is certainly something to contemplate if you are looking to change up the aesthetic in your dining room or kitchenette. Below are a few more images to provide inspiration. 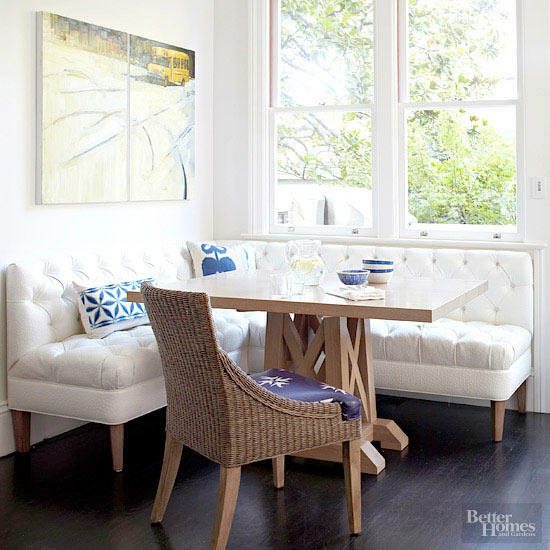 I love a long sofa bench and it is on my 2020 home decor list( I wait a year before making decorating changes). It gives me time to look for exactly what I want. Since my friends and I are getting older, I need comfortable seating with a good back. We often sit around the dining room table for several hours talking. Thank you for such lovely selections. Your post has given me some ideas to consider. What a good idea when it comes to making decor changes. Thank you for sharing Beth. Much like Beth our dinners tend to linger at table for some time. I an fond of the benches with a back but there are some exceptions. The bench needs to seat no more than two adults, any longer makes the bench cumbersome to move and position well. If there is no back, people of my generation are not comfortable, posture is compromised. I have been privy to two such set ups. The “sofa style” against a wall is a stable and comfortable seating. The bench, open back to room is not. It may look good in photo’s and provide a different angle for the camera but that is about all. In the 1970’s a friend had a bench, wood, no padding, no back at her dining table. Even the children complained that it was too close to the table, too far from the table, Johnny is bumping into me, Linda is kicking me….you get the idea. How timely! As luck would have it, I just purchased one for my dining area (completely unaware that they are a trend). 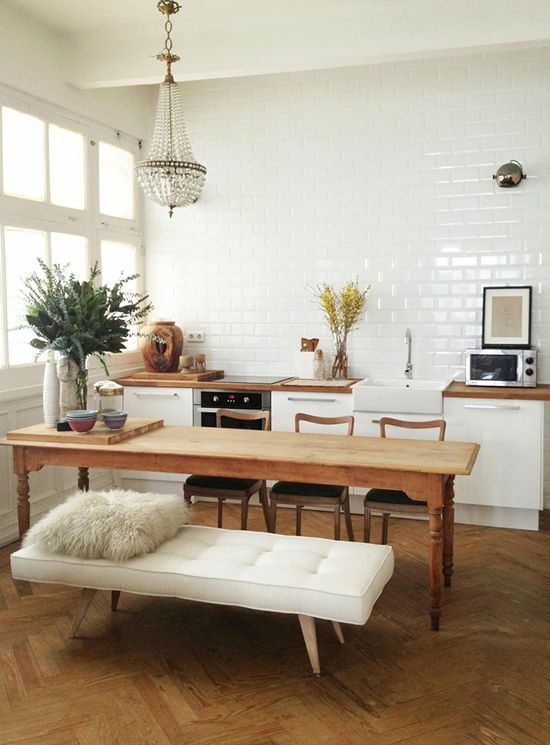 My apartment is tiny & the bench chosen will make the most of what little room there is available. Once it arrives, I’ll measure to have a custom cushion made. This will be my first kitchen seating in over six years, so even if it takes some getting used to, I’m immensely grateful. Great idea for personalizing it to your space and taste. It sounds like it will be a wonderful addition to your home. Enjoy!